In January, Microsoft made it official: the company rebranded its SkyDrive cloud storage service to OneDrive. On Wednesday, Microsoft threw a ball for the OneDrive debutante, offering free storage as party favors to its guests. Put simply, Microsoft will maintain the 7 Gbytes of free storage that it offers users who sign up for the service. But now there are ways of obtaining more, and Microsoft will hand out an additional 100 Gbytes free to each of up to 100,000 users via an online contest on Wednesday afternoon. Microsoft’s rebranding effort was forced upon it when it lost its trademark dispute with BSkyB last July. Roger Capriotti, a senior director responsible for both Internet Explorer as well as OneDrive, explained that households now own at least five connected devices, according to NPD. But 77 percent of their owners don’t back up their content to the cloud, a Harris poll revealed. Microsoft’s OneDrive is offered as a backup service across Windows 8.1 (where it is the default location for saving Office documents), the Xbox One (where gameplay videos can be created and saved using OneDrive) and especially Windows Phone, where photos can be automatically backed up to the OneDrive cloud. Each platform’s apps will be automatically updated to reflect the new OneDrive branding. As part of the launch, Microsoft will offer the chance for users to claim additional storage, similar to the various upgrades offered through services like Box.net. 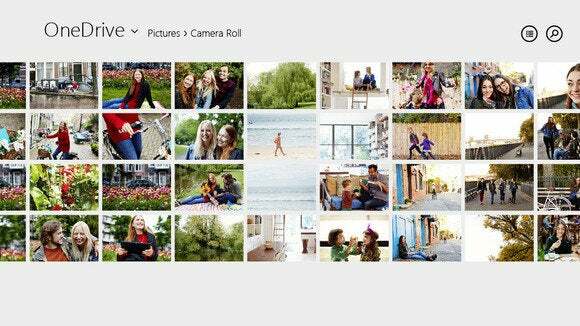 Simply by turning on the camera backup on a phone (iOS, Android or Windows Phone) users will earn 3 GB of free OneDrive storage, essentially increasing the minimum to 10 GB. 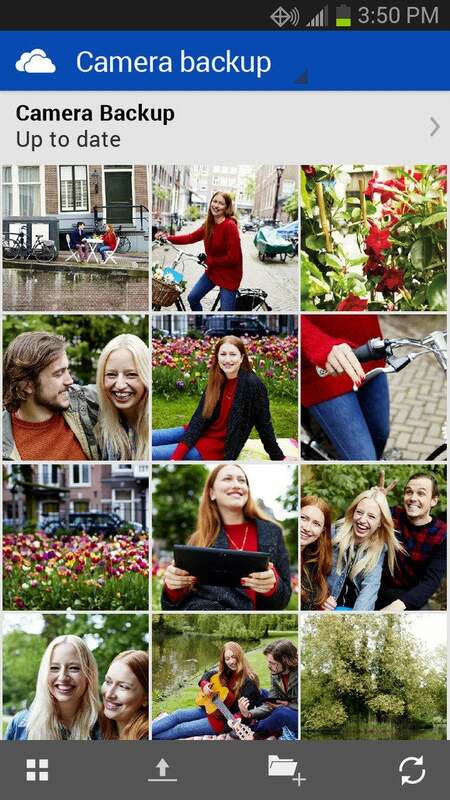 Referring a friend to OneDrive will earn you another 500 MB, up to a total of an additional 5 GB. Users can also buy additional storage, including a new monthly payment feature. And at some point on Wednesday, Microsoft will offer 100 GB of free storage for one year for up to 100,000 users—which the company will announce , or at least hint at, via its @OneDrive Twitter account. Capriotti said that he hadn’t yet spoken to new chief executive Satya Nadella, although Nadella’s “mobile first cloud first” mantra would seem to play right into OneDrive. OneDrive is already the cloud complement to the local storage built into the PC, just as a Web-based version of Office duplicates some of the functionality of the native Office app. Will Microsoft one day offer a cloud complement for local processing power, just as its Azure engine does for the enterprise? Capriotti wouldn’t say. But cloud storage is evolving into more than just storage, and Microsoft hopes your data will be along for the ride.